As a raia mwema devoid of any political prowess, I think there is no more algebra involved in resolving this phenomenon; it isn’t a mystery anymore. Uhuru Kenyatta may have won next year’s election as early as last year, and the voting is simply a confirmation. Raila knows that, Kalonzo is also sure, Wetangula isn’t in CORD either, but a reservation of Raila’s throne for future endeavor. If you have been keenly following the turn of events since the moment Ruto’s case at The Hague collapsed, then you will spot the monster in Agwambo’s nightmares. William Ruto, the deputy president of the Republic of Kenya. A man that has sent jitters down the spine of all the captains in the opposition. All this IEBC reform calls aren’t sincerely a call for the later but instead it is a tactic to delay polls date with hopes that masses drift towards CORD. Just hopefully. But that will not happen anytime soon since the unity of the opposition leaders is held together by a very thin strand. Wait and see some badmouths soon demanding consultation in the appointment process. The big decision highly awaited would be whether Baba will support either Wetangula or Kalonzo. But can Baba get himself out of the equation? No, he won’t because either way CORD might still be headed to the opposition benches no matter who the flag bearer becomes. And Amollo is not stupid; he knows that. The third force aren’t stupid either. They will welcome the disgruntled among the three principles and together vanish in Jubilee’s armpits; because it is cold in opposition. Raila knows very well that Ruto is a go-getter who neither winks nor blink until the deal is done. In the event where he pushed him up the ladder to a position of Prime Minister, Jakom acknowledges that he lost an artery to his political heart. At least he still could speak in front of men, but not until General Ababu divorced him. You can bet Ababu is the only wild card to permanently erase Raila’s name in mainstream media. Now people can focus on Ruto’s presidency in 2022. 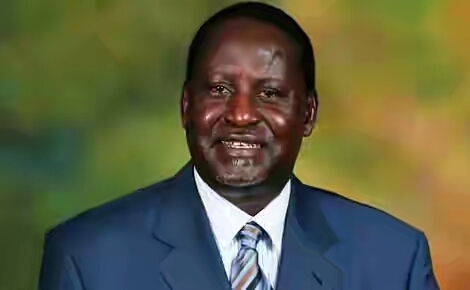 The best thing for Raila to do at this point is to write a political will; that is the best he can do for now.